I didn’t have a whisky tasting for quite a while. Outrageous! But it will be improved at once. So today, here’s a probably less known represantative of the speyside whiskys: a 16 year old Ben Riach. I came across it by chance when the whisky shop I’m usually ordering at sent me a tasting sample. Ich hatte schon recht lange kein Whisky-Tasting mehr. Ein unmöglicher Zustand, der sofort verbessert wird. 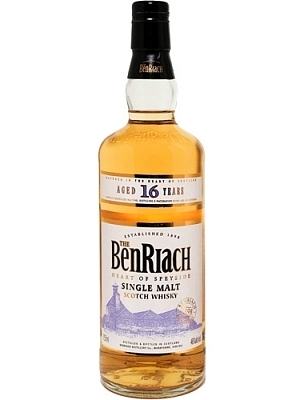 Heute ein vielleicht weniger bekannter Vertreter der Speyside Whiskys ist der Ben Riach. Ich habe den zufällig entdeckt, weil ich vom Whisky-Shop meines Vertrauens als Dankeschön eine Probierflasche bekommen hatte.